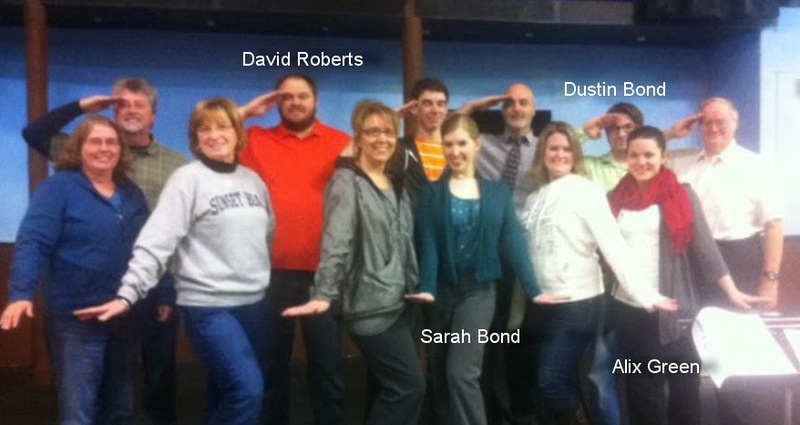 Another group of Putnam County Playhouse participants will be entertaining local audiences on stage in a production of The 1940's Radio Hour. 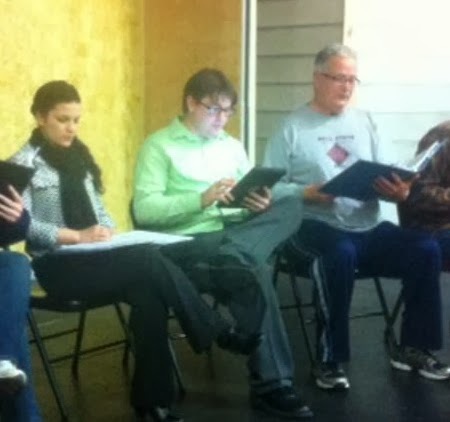 The musical is being produced by Community Theatre of Clay County. It will be presented February 27 & 28, and March 1. Tickets for the dinner theatre presentation are $25 per person. Reservations can be made by calling Lisa at 812-442-6909. The Lark Theatre is located at 8 E. National Avenue (U.S. 40) in Brazil. 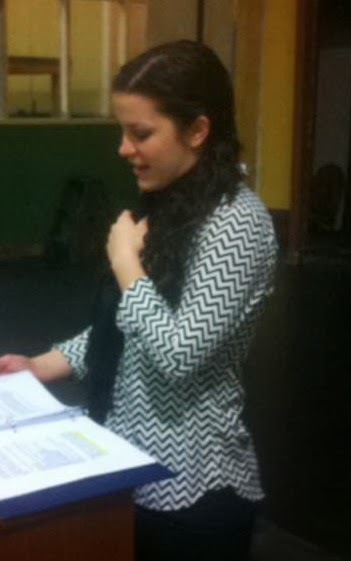 The show is being directed by PCPH veteran Shelly McFadden (who directed last season's The Drowsy Chaperone) and CTCC's Lee Reberger (who played Underling in TDC). Among the cast members are PCPH performers Alixandra Green (last seen in The Curious Savage), Dustin Bond (last seen in Harvey), and Ric McFadden (last seen in The Drowsy Chaperone). Also appearing are Sarah Bond and David Roberts, both last seen at PCPH in Harvey. Pianist and pit conductor Marilyn Burdsall is also a PCPH veteran. 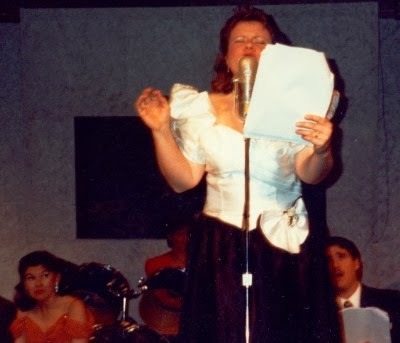 Ric and Shelly McFadden appeared in The 1940's Radio Hour when it was produced by Putnam County Playhouse in 1992. Shelly McFadden in the PCPH production in 1992. CTCC members appearing include Carl McKinney, Dennis Morris, Kandace Brown, Michelle McCrea, Kevin McCrea, Andrew Corder, Alyssa Lovett, and Diane Parrish. HAZEL DAY LONGDEN THEATRE WELCOMES YOU!